As one who opts for lighter formulas in the morning skincare department (I’m a serum and sunscreen kind of guy), I choose denser, richer, and more nourishing options to work their anti-aging magic when I sleep. Last month, I needed a travel-friendly and winter-appropriate night time moisturizer to keep my skin plump during a ten-day trip to Europe. 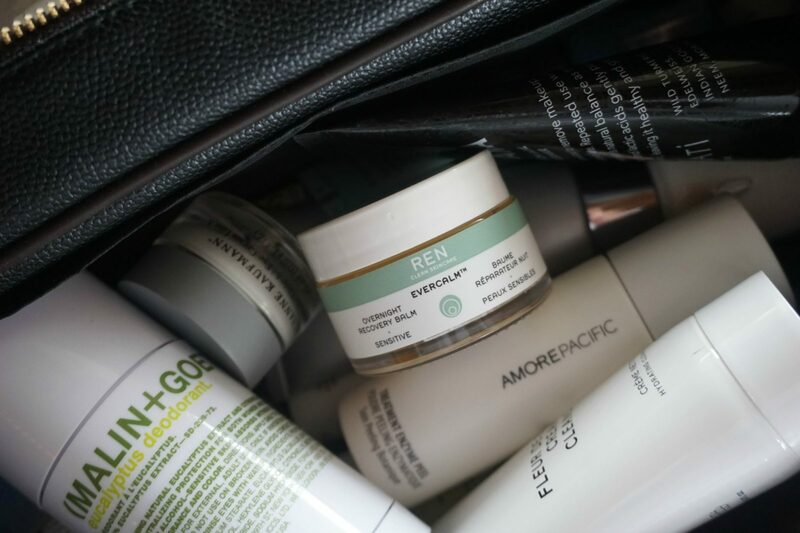 Without overthinking this monumental issue, I threw a jar of REN Evercalm Overnight Recovery Balm into my Dopp kit. That turned out to be the best complexion-related decision I’ve made so far this year. Don’t let the 30ml size jar fool you. Its rich texture requires only a small dab per application so this one is bound to last a while. The REN Overnight Recovery Balm is a paste-like gel that is almost waxy in consistency. Its goal? To seal your bedtime routine with a layer of deep moisture and soothing comfort. While fragrance is listed on the ingredient deck (it’s non-artificial), the aroma is very faint, clean, and slightly herbal. The emollient base of Glycerin and lipid-rich Almond, Borage, Linseed, and Olive Oils provides both an instant and lasting dose of relief to skin that may be stressed or dry. Most of us struggle with these issues, especially during seasonal weather changes. The cornucopia of nourishing oils also includes Moringa, Jojoba, Seabuckthorn, and Sunflower. 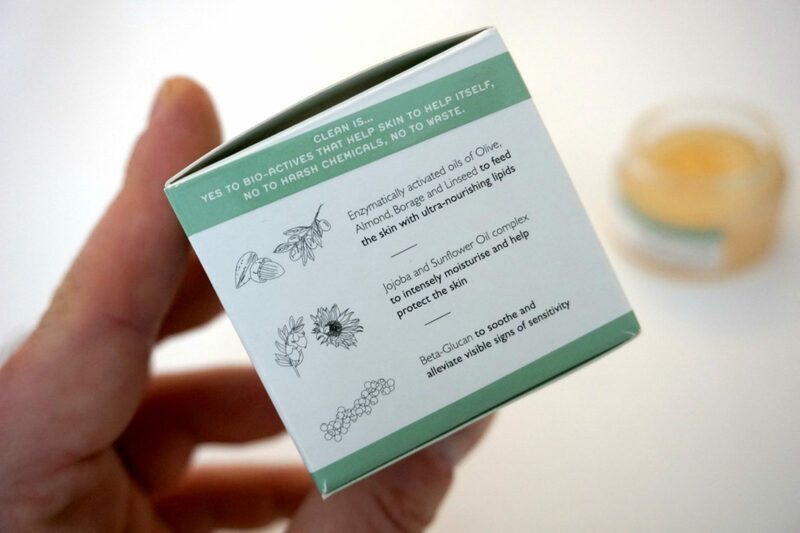 Plus, there’s a touch of healing Beeswax and calming Rosemary Leaf Extract. This blend of thirst quenching botanicals will satisfy the most parched skin on contact. 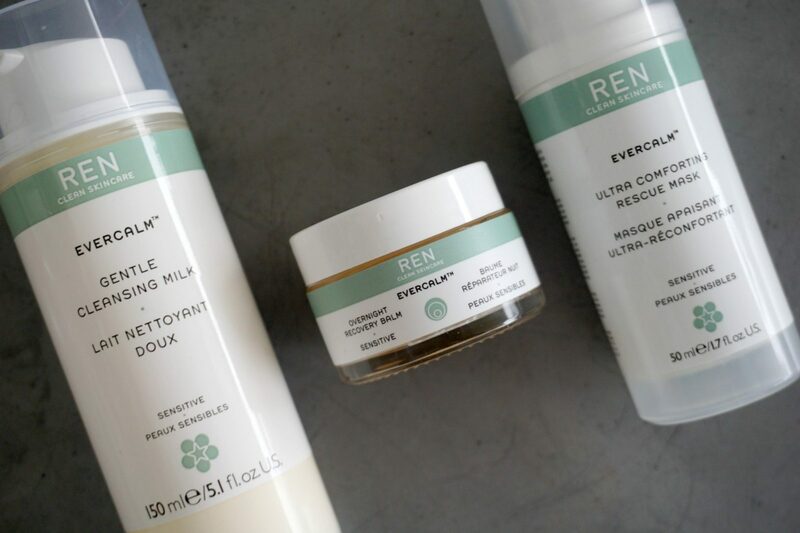 The REN Evercalm balm should be the last step in your PM regimen. I cleanse, acid tone, use a treatment serum (either Hyaluronic Acid or Retinol one) and lock it all in with a thin layer of this nifty REN gem. Technically balm-to-oil, it melts into the skin easily. Warm up a pea-sized amount in the palm of your hand and apply it to your face in a press/push motion. 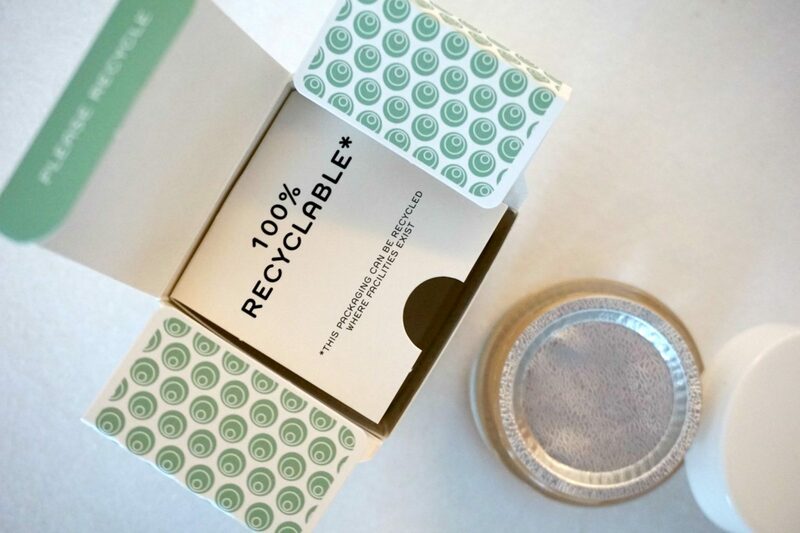 Initially, your face may appear shiny but the balm absorbs within minutes. I promise it won’t stain your pillowcase. This is a totally valid question since my skin is neither dry nor sensitive. Last month, however, was a different story. Two long haul flights, bouncing around snowy Austria and freezing Germany, receiving a professional peel, committing to a nightly resurfacing solution for an upcoming post, and spending way too many evenings at dinners with copious amounts of wine required… a touch of TLC in my skincare routine. 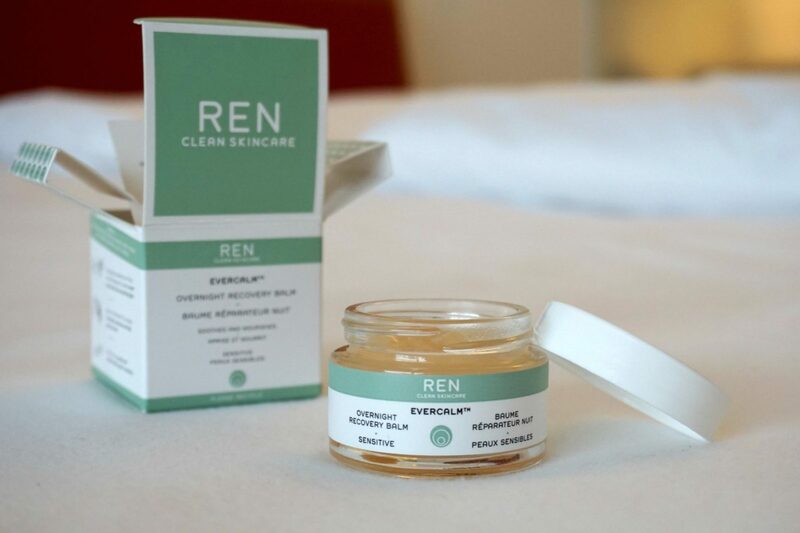 The REN Evercalm Overnight Recovery Balm proved to be the perfect insurance policy for my skin, which is at its most temperamental during travel. And as the temperatures continue to drop on the East Coast, I keep waking up to soft, glowing skin. Next Post Chocolate Obsessed? Try the New Colleen Rothschild Cocoa Bean Cleansing Balm!